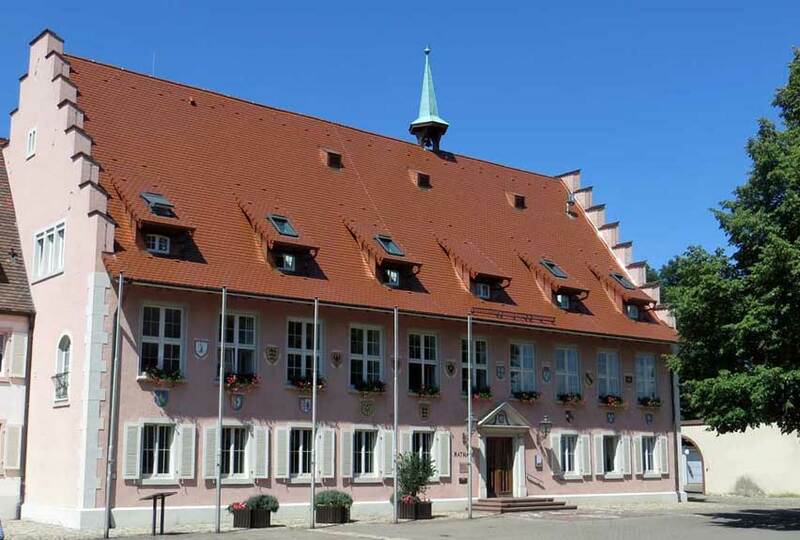 River cruises provide excellent maps for a self guided tour when you visit Breisach. 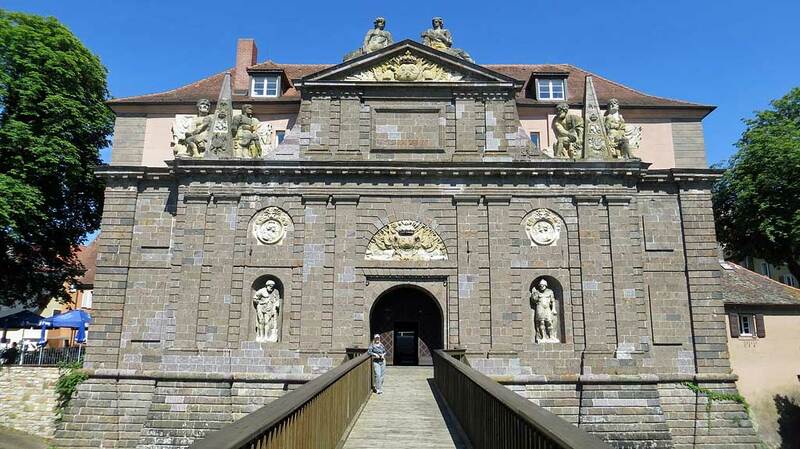 First, walk from the dock up the short but steep lanes to the fortified Old Town. Your first stop is the cathedral of St Stephan’s Minster inside the walls of the Old Town. St Stephan’s Minster was built in the 1200s. 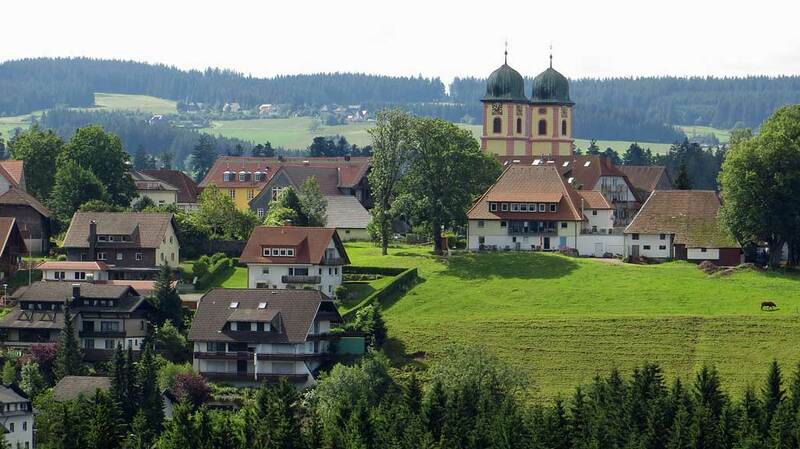 From St Stephan’s Minster there are pleasant views over the new town below and the rolling hills of the Kaiser-stuhl. 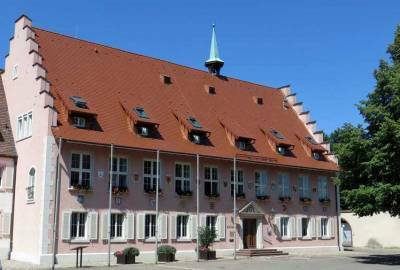 On the square beside the cathedral is the Rathaus Breisach (City Hall). 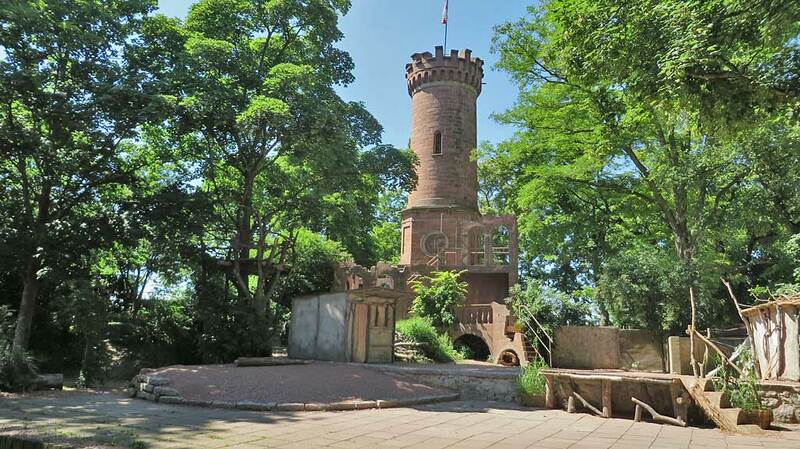 In the middle of the small Old Town is the Radbrunnen Tower (Radbrunnenturm) with its strange exterior workings for this early 1100s water well pump. At the far end of the Old Town is the festival area and the Tulla Tower, which forms part of the theater stage. Descending from this end of the Old Town to the Rhine leads to the Rhine Tower (Rheintor) and a pleasant walk back to the river cruise dock. Since the destruction of the bridge on the Rhine during World War II, rail transportation has been restricted to the German side of the town. 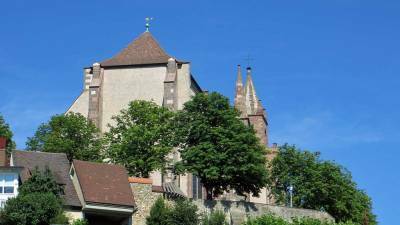 You can get to Breisach by rail from Freiburg in 30 minutes. 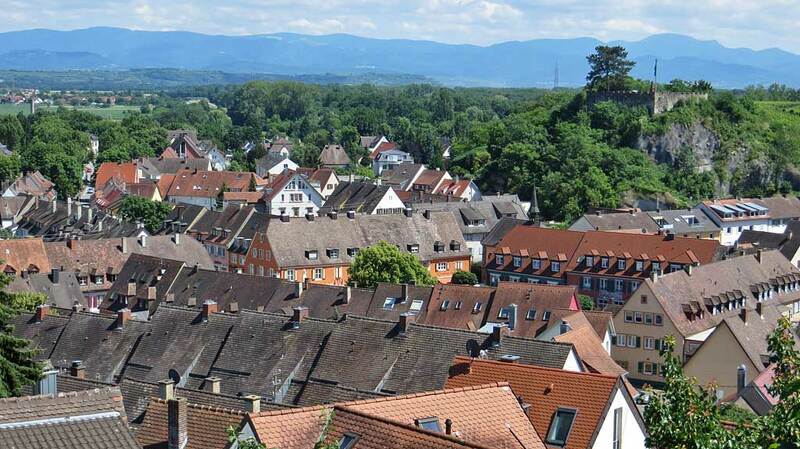 You can also get to Breisach by rail from Riegel am Kaiserstuhl, north of Freiburg. To the west, Colmar, France is a 30 minute bus ride. Breisach is not near any major airports. 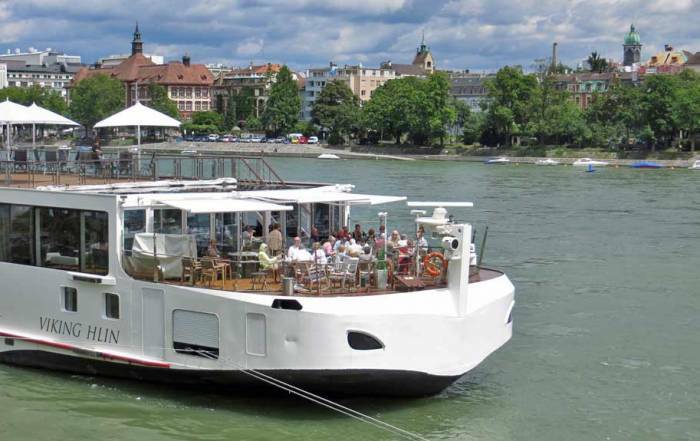 The main way visitors get to Breisach is on a Rhine River Cruise. The river cruise industry has made Breisach a standard stop for cruises between Basel and Amsterdam, but passengers do not start or finish voyages here. 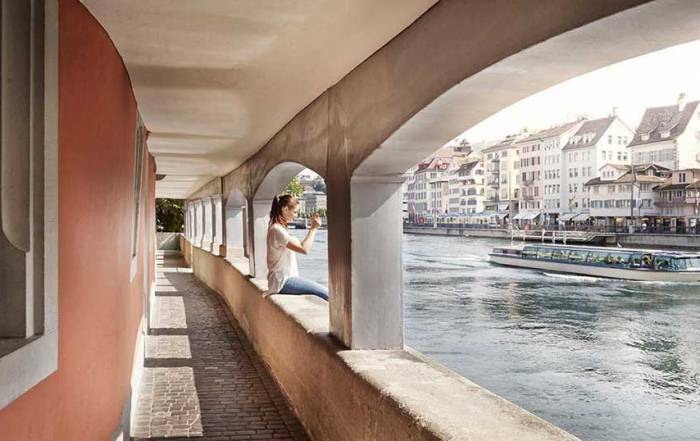 Most Rhine River Cruises provide two options for river cruise shore excursions. 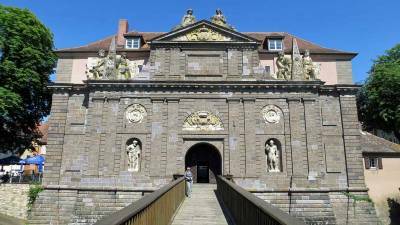 The most popular option is a bus tour shore excursion through the Black Forest. 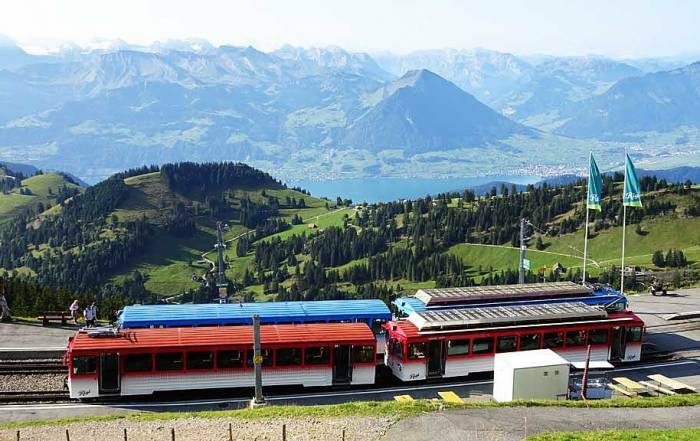 The route takes you to picturesque view points and through numerous small villages such as Sankt Märgen. 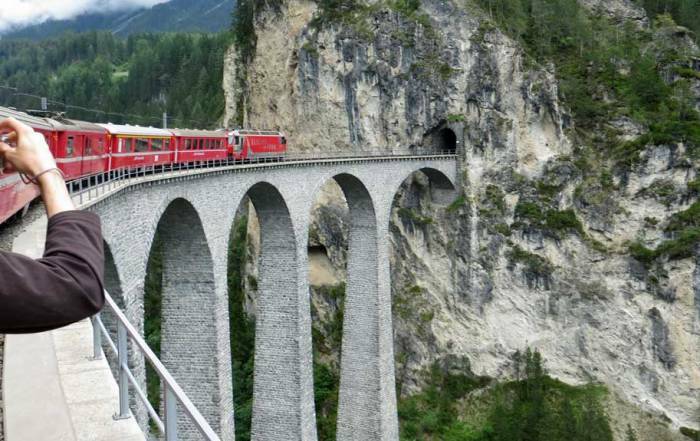 This river cruise shore excursion stops at popular tourist centers such as Hofgut Sternen. 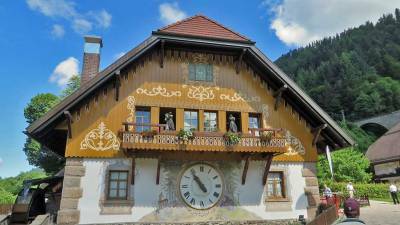 At Hofgut Sternen you can watch artisans create traditional Black Forest cuckoo clocks. The cuckoo clocks are displayed and sold too. If you find a clock you like, they will ship it home for you. The second option for a river cruise shore excursion is a bus tours to the quaint historical village of Colmar, France. Visitors who aren’t on a river cruises can coordinate tours of the Black Forest and Colmar through tour operators in Freiburg, Germany. Breisach weather is sunny and warm in the summer, while winters are cloudy and cold. Average highs in the July and August are around 80 F (27 C), while average lows are 60 F (16 C). In December and January average highs are a few degrees above freezing, while lows hover around the freezing mark. Rainfall is slightly higher in the summer months. Breisach is a very small town on the German side of Upper Rhine River. Across the river is Neuf Brisach, France. Germans pronounce the name “bry sack” and the French call it “bree sack”. The town had early Celtic and Roman occupations and was part of the Holy Roman Empire. Breisach has seen a boom in tourism since becoming a standard port of call for river cruises between Basel and Amsterdam. 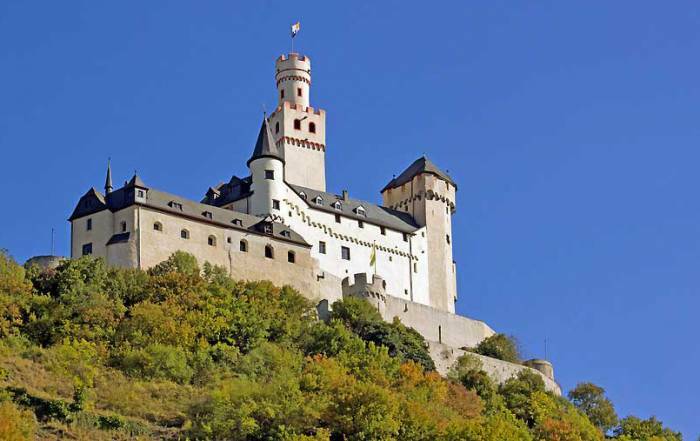 Most of the Rhine River Cruise shore excursions head from Breisach by bus to the Black Forest near Freiburg, Germany. Day trips also visit the picturesque town of Colmar in France. Old Town Breisach is located on an ancient fortified hill top with pleasant views over the rolling hills called the Kaiser-stuhl (Emperor’s seat). The area around the town is excellent for growing grapes and making wine.